I was recently on a panel at the University YWCA in Champaign called “Institutional Racism 101.” This is part of a series the YW presents that provides participants a “racial justice certificate” when the series concludes. Gia Lewis-Smallwood organizes the series. Kudos to her and the Y! I was pleased to meet a whole new group of undergraduates committed to talking about and taking action against racism. The other panelists were Ken Salo from Urban Planning, Lorenzo Baber from Educational Policy Studies, and Christopher Span, associate dean for academic affairs in the College of Education. We spent some time defining racism, institutional racism, and talking about generational differences in the room. I wrote up my comments. First some definitions, with the caveat that these terms are dynamic. RACISM can be defined as “power + prejudice,” but is perhaps better named white supremacy. White supremacy names a structure that Robert Jensen argues includes patriarchy, predatory corporate capital, empire and the coming ecological collapse. Jensen says only by naming these structures, connecting them in dynamic ways, can we begin to face the legacy and present versions of these. Andrea Smith notes that colonial interests, patriarchal interests and class interests are all interwoven in whiteness. INSTITUTIONS are usually formal organizations like governments and schools, but also can refer to a whole network of groups, ie, health care or legal structures. INSTITUTIONAL RACISM is a system of inequality based on socially constructed categories. Complex structures of social and material relationships both represent and constitute oppression. These systems change over time, are often normalized and therefore not visible to those of us who most benefit from them. All sorts of institutions can be “troubled” or questioned: courts, churches, social clubs, housing associations, schools, businesses. What values are revealed in bylaws or newsletters or websites? 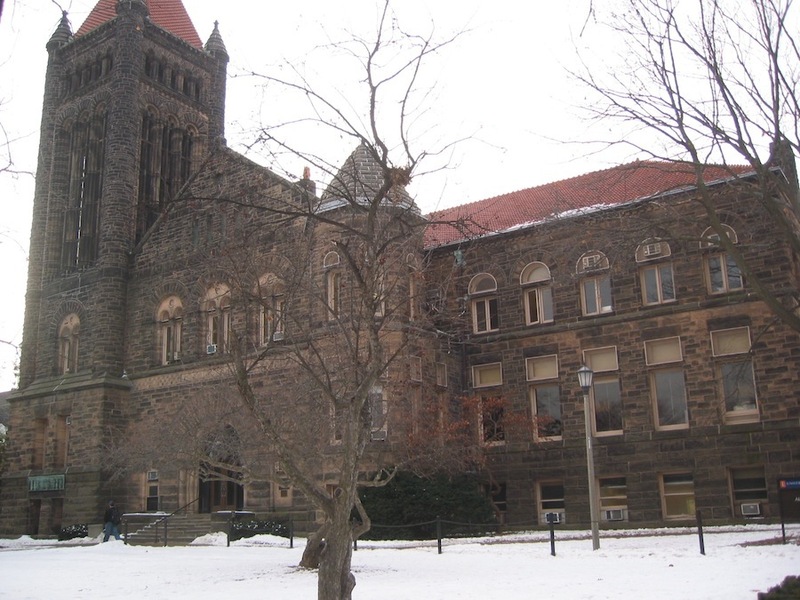 Here at the UI, the Ethnography of the University aims to provide a framework for examining the University of Illinois as an agent in peoples’ lives. The Morrill Act is being commemorated soon with a symposium at the Illini Union on Friday October 26, 2012. The University of Illinois exists here because of the Morrill Act, which was signed into federal law by Abraham Lincoln in 1862, thus this year is its 150th anniversary. Each state was provided 30,000 acres of “unappropriated” federal land, a “land grant,” and thus UI is called a land grant university. The idea was to sell this land to fund a major public university to educate farmers and “industrial” workers. 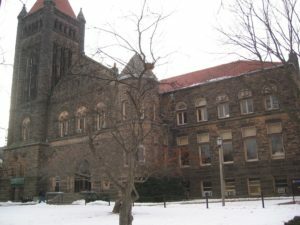 By 1867, the Illinois Industrial University had been founded in Urbana. One of my questions is: was the land that was granted by the federal government to the states really theirs to give? No, it was not. Authorities made land available by removing Indians who lived on it. People—Sac, Fox, Peoria, Potawatomi, Meskwaki, Cahokia, Tamaroa, Piankesaw, Wea, Kaskaskia, among others–at one time lived on and with this land. Many were forcibly removed, or killed, but of course their descendants continue to live today, mostly not in Illinois. This land grant university is built upon land that does not belong to it…as various broken treaties and outright theft attest. Another piece of the Morrill Act is legislation that was passed in 1890, requiring that land grant institutions either consider “race” in admissions or establish a separate college for blacks. Already, in these two bits of information about the Morrill Act, we are in the thick of institutional racism…institutions built on entrenched social and political practices and continued by unexamined assumptions that the dominant power group doesn’t challenge or disrupt. I hope some of these issues are addressed in the symposium at the end of the month.